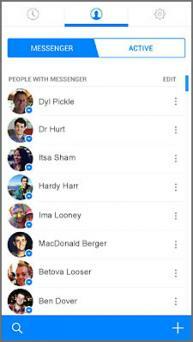 If you enjoy texting with your friends and using Facebook, then the accompanying Messenger mobile app is a terrific option to consider. 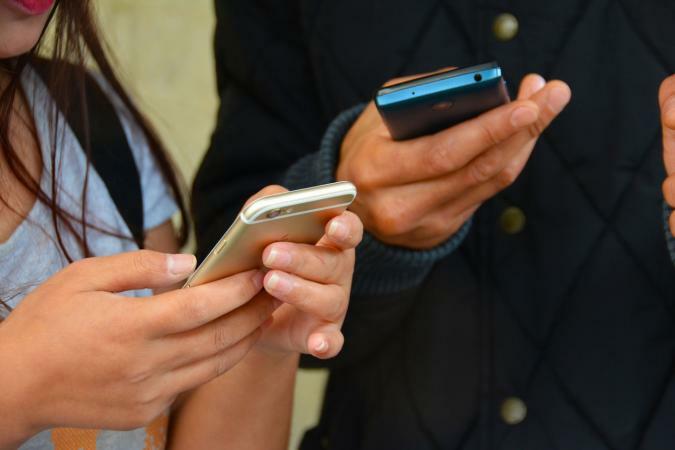 The Messenger app is needed to send and receive messages on mobile devices since that functionality is not available through the main Facebook app. Facebook Messenger is free to download on your smartphone or other mobile device. You can get it from the Google Play Store if you have an Android device and from the iTunes App Store for iOS devices like the iPhone and iPad. The app works very similarly to text messaging on your phone, offering real-time instant messaging. Messages can be sent to just one person or to a group. The standalone application effectively provides access to your Facebook private messages, sometimes referred to as Facebook Chat, meaning you can also use it to make voice calls or connect via video chat. One of the big benefits of using the app is that it works with your Internet connection. Calls and chats over Wi-Fi are completely free, even if they're international. Otherwise, you can use your existing data plan. Message anyone on your Facebook friends list or in your phone's contact list, attaching photos and videos too. To make the most of the app, you should know about some of its most important features. You can see when someone has viewed your message, which is an advantage over leaving a regular voicemail or text message and not knowing if it was ever picked up. The Active Now bar at the bottom of the screen shows who's on Facebook if you're looking to catch up with someone online. Calling or messaging someone is as easy as tapping on their profile picture or name. The app integrates with your Facebook preferences, so you can also follow trending topics for the day. Birthdays for friends are displayed on the home screen. Notifications can be customized, so you can turn them on or off depending on your preferences. The "Chat Heads" feature leaves a floating bubble with active conversations, making them more easily accessible even when you don't have the app actively open on the screen. If you enjoy other social media platforms like Snapchat and Instagram, Messenger has integrated features with both as well. Some of the cons of the app are related to the new features. 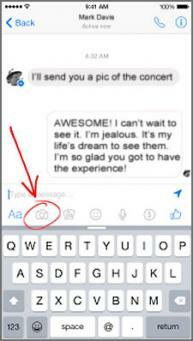 If you want to use Messenger purely for real-time chat and calls, the new options can be difficult to navigate. If you are looking for a lightweight, easy-to-use messenger app, you may find the additional features to be cumbersome. When Facebook announced in 2014 that the Messenger app would be required to utilize the messaging feature of the social network, a flurry of concern about privacy ensued. Much of this was based on the terms of service of the app which required you to grant the app permission to use your camera and microphone. This led to a concern that Facebook would be able to watch and record you at any time. This is not the case and there's a simple explanation. When a company submits an app to the iTunes and Google Play stores, they are required to provide a certain set of terms of service and permissions in order for their app to be accepted for listing. In the iTunes store, certain types of permissions, like being able to access your phone's camera, are treated as part of an overall acceptance when downloading an app. You do not receive a request for specific permissions until they are actually required. For example, when you go to use a mapping app, a pop-up will ask you if the app may use your current location and you can agree ("OK") or not ("Don't Allow"). This is different from the way the Google Play store works: a whole host of permissions are listed for you to accept right when you download an app. You must accept all of them at once, or forego downloading the app altogether. This has changed with newer versions of Android, but not all apps have been updated accordingly. This relates to Facebook Messenger because when you are required to download it to use the Facebook messaging system, you will be asked to grant permission to access your camera, microphone, address book, contacts, and more. And because the message doesn't tell you exactly why it needs to do these things, it can appear rather worrisome to the average person. However, it makes sense that Facebook Messenger requires your camera if you intend to snap pictures to send to friends. Likewise, it makes sense for it to access your contacts so that you can have that list readily available to use with the app. 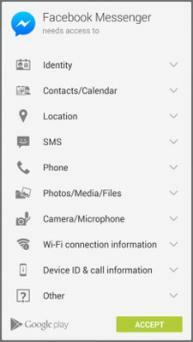 None of these permissions means that Facebook is recording you surreptitiously! Aside from being able to access the camera, share pictures from your phone's gallery, and send emojis and stickers, you can also play games with friends via the app. Click on the little game controller icon and a menu of games will open that you can choose from. You can invite friends to play and see each other's scores via the app. Add captions to photos that you want to send by adding the photo using the image icon. Once the photo is displayed, hold your finger down on the screen until an edit icon pops up. A screen that looks very similar to Instagram will appear and you can type in captions before you send the photo. You can also use the little pen icon and the color bar to draw on the photo itself. If you love including animated GIFs in your conversations, tap on the "GIF" icon and a searchable gallery of GIFs will appear. Tap on the additional menu icon (the grey box with three white dots) to reveal additional options, such as sending payments, recording your voice in an audio file, accessing a file or calling for a ride. Messenger interacts with other apps on your device too. If you happen to have the app for Uber or Lyft, tapping on the "Request a Ride" option will draw up a menu featuring the ride sharing apps installed on your phone. If none are installed, you will be taken to a screen with the option to register for a service. 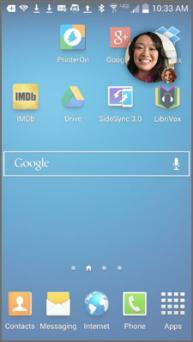 Depending on what you have installed on your phone, you may see other options in this menu. Another example is Dropbox, an app which many people use to store files in the cloud. If you have Dropbox installed on your phone, the additional menu will allow you to open the app within Messenger to find files you need for your conversation. Customize friends that you have conversations with by tapping on the "i" icon at the top right when you have a conversation window open. This screen will allow you to turn notifications on or off for this person, pick a color for their "chat bubbles," select emojis and set a nickname for them in your directory. It also allows you to block a specific person, view their profile on Facebook, and start voice or video calls. If you don't like the chat heads appearing on other apps during conversations, you can turn these off by going into your profile disabling the option. Customize the pending payments option by tapping on the Payments option. This will let you add credit or debit cards to your app, add a security PIN, and view your payment history. If you want to use Facebook Messenger for your SMS chats, use the SMS option in your profile in the app to activate this feature. If you enjoy using the Messenger mobile app from Facebook, try looking at the many additional apps that integrate with it. These apps create fun new options for your conversations. 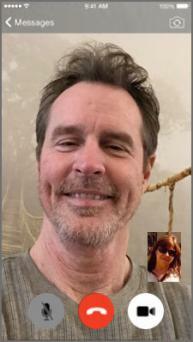 One such example is JibJab (for iOS and Android). Just like its main website, the app lets you customized funny video e-cards for free. For more, just search for "apps for Facebook Messenger" in your app store of choice and have fun exploring!